Worried About Having Your Identity Stolen? Wondering What to Do If It Has Been? Then Find Out What to Do in This Episode! One of the things that can happen that can threaten your financial freedom is if your identity is stolen. According to the company LifeLock, nearly 15 million consumers experienced identity theft in 2017, and early 60 million Americans have been affected overall. It can damage your credit status and cost you time and money to restore your good name. 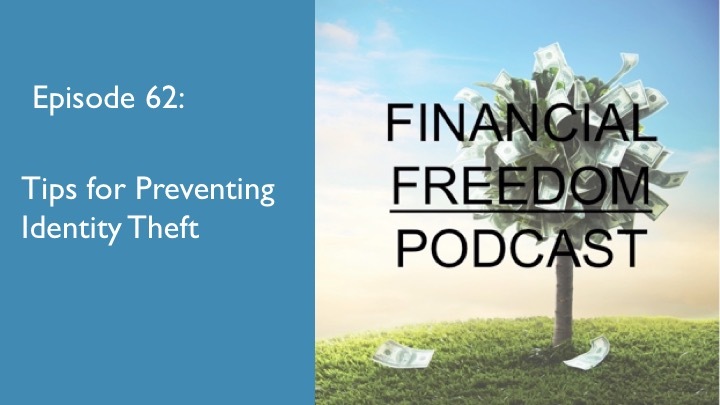 That is why in this episode of the podcast I wanted to discuss what identity theft is, the different kinds, how to prevent it, and what to do if it happens to you! How to Report Each Kind and Protect Yourself Should it Happen to You!